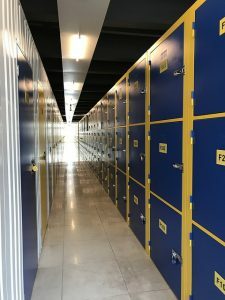 We wanted to take the opportunity of our monthly blog posts to address some of the basics of self-storage. No, we don’t think you’re a dummy. We only titled this post ‘Self-Storage for Dummies’ to get your attention. It worked, didn’t it? At any rate, the greater New York area is replete with self-storage options. It seems like everywhere you go someone is offering extremely cheap self-storage lockers. Please take note that they are not all the same. Do yourself a favor and investigate all the possibilities before you choose one. The obvious place to start with self-storage is to figure out what it is that you plan to store. Yes, it really does matter. What you plan to store will dictate the size of the locker you need, whether or not you need climate control, how you are going to pack your items for storage, and a lot more. The last thing you should do is blindly rent space and then try to figure out how to utilize it later on. You may find additional size options at some locations depending on the type of construction you are dealing with. These five should give you a good idea of what to expect, though. Note that size designations only account for floor space. You can calculate square footage by multiplying length by width. You can also calculate cubic feet for the purposes of figuring out how high you can stack your stuff. A lot of self-storage properties offer units with built-in climate control. These are units that maintain a constant temperature and humidity level. This is the kind of locker you would want for storing sensitive objects. If nothing you are storing requires temperature control, you can get away cheaper without it. In terms of amenities, you need to consider things like drive-up access, on-site management, security, door access, and so forth. Some properties offer extra amenities including mail and package delivery, truck rental, and multiple payment options. Finally, do not forget to consider both neighborhood and relative location. In terms of the neighborhood, you can find self-storage properties mostly in commercial and industrial settings. Once in a while you might find one in a residential neighborhood, but those are rare. Neighborhoods with lots of traffic and high visibility from the street tend to be the safer neighborhoods for self-storage. Relative location is a measurement of how close the facility is to where you live. This may not seem important to you now, but it will be when you have to start traveling to and from your self-storage to retrieve stored items. Do you really want to rent at a facility that is 30 minutes away? Now you know the basics of self-storage. If you need help organizing your belongings in preparation for storage, give us a call. We are home organization experts more than capable of helping you get things sorted out.